I haven’t done a Visual Fiction story in a while, but it’s a flash fiction story based on a picture of my own. I took this one in Bundang, Korea. 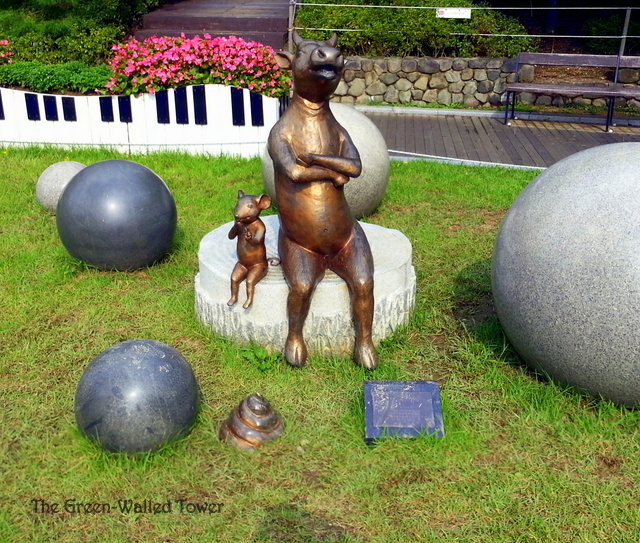 This entry was posted on Sunday, December 22nd, 2013 at 12:48 pm	and tagged with animals, argument, cow, fiction, flash fiction, Korea, mouse, photograph, poop, quirky, statue, visual fiction and posted in Light. You can follow any responses to this entry through the RSS 2.0 feed. good one David, loved the pic. Thanks. I came across this statue and it seemed very story-worthy.